A huge conveyor moves pulverized coal into the AES Shady Point power plant near Spiro. This is the tale of a transferable tax credit, and how it grew tenfold over the years. The tax incentive was designed to help a few eastern Oklahoma coal mines, but it turned into a moneymaker for several dozen insurance companies and reduced state revenue by more than $60 million over the past eight years. That comes to more than $15,000 a year for every miner, trucker, mechanic, welder, electrician and other support worker directly employed by Oklahoma mine operators and their subcontractors. The coal credits were suspended in 2010 as part of a two-year budget-balancing deal, but holders are still exercising credits they received for previous mine production. New production will be eligible for the credits in mid-2012. That could change if some lawmakers get their way. Rep. David Dank, who is heading a task force investigation of state tax breaks, is among those challenging the need for the credit. Industry advocates see things differently. “Whatever the cost of that credit is to the state, the state reaps many times that amount back,” said state Department of Mines Director Mary Ann Pritchard. In the late 1980s, eastern Oklahoma mining companies faced a crisis. Tough new environmental rules and price competition from cheap natural gas had caused their market to shrivel. Hundreds of jobs had been lost, and more were in peril. State and federal lawmakers sprang into action. They helped Oklahoma Gas & Electric Co. recruit a big power company, AES Corp., to build a low-emission generating plant designed to burn high-sulfur Oklahoma coal. Located near Panama in Le Flore County, the Shady Point plant cost $485 million and now provides electricity to 230,000 homes and businesses. To seal the deal, the Legislature created a $1-per-ton tax credit to subsidize purchases of Oklahoma coal, starting in 1989. It later bumped the credit to $2 and passed a law requiring all coal-fired power plants to include at least 10 percent Oklahoma coal in their fuel mix. In the early 1990s, another crisis loomed. The U.S. Supreme Court struck down the “Burn-Oklahoma” law. OG&E negotiated lower transportation prices for Wyoming coal, automatically reducing the price it paid for Shady Point electricity. 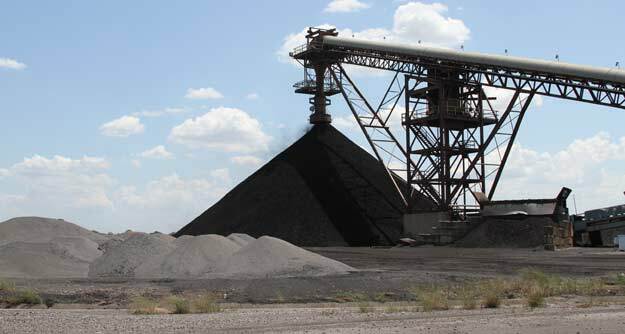 Shady Point could no longer afford to buy higher-priced Oklahoma ore. So Lundy Kiger, a former middle school principal who became Shady Point’s government relations director, made the rounds of the Capitol delivering a blunt message: We’re losing $8 million a year on our coal purchases. We need a bigger tax credit to keep buying Oklahoma coal. And we want to sell our credits to other people, because we don’t pay enough state taxes to use them all. Shady Point got what it wanted: a $5-per-ton, “freely-transferable” tax credit that it could sell to other people to generate a new stream of cash. A decade later, it was the mining companies’ turn. Oil and natural gas prices soared in the mid-2000s. Mine operators were hit with increases in the cost of diesel fuel and explosives. “That brought us to our knees, literally,” said Bob Cooper, vice president of Farrell-Cooper Mining Co., which operates surface mines in LeFlore and Haskell counties. Industry officials were contributing generously to political campaigns. One political action committee, Friends of Oklahoma Coal, donated more than $20,000 to several dozen candidates for state office in the 2004 and 2006 election cycles. Industry executives kicked in with individual donations. The money went to Democrats and Republicans. The miners got their wish. The Legislature gave the mining firms their own $5-per-ton credit. Like the purchaser’s credit, it was freely transferable. For every $50 ton of coal mined and burned in Oklahoma, the state was now picking up $10 of the tab. Supporters say transferability is essential to make sure the credits are effective. Before the two-year moratorium took effect, Shady Point received as much as $5 million a year in coal tax credits. But it didn’t have a big enough state tax bill to use all the credits it received, Kiger said. Transferability solved that problem. Kiger said he has sold most of Shady Point’s credits to insurance companies for 92 to 95 cents on the dollar. Insurers like to buy them because they earn a quick profit for simply writing a check. They use the credits to reduce premium taxes they pay on policies sold in Oklahoma. State Insurance Department records show that about 30 insurance firms bought $55.9 million in coal credits from 2005 through 2009. The biggest single buyer was the Progressive group of insurance companies, which used $14.6 million in credits over five years. Health Care Service Corp., parent company of Blue Cross and Blue Shield of Oklahoma, was second with $5.7 million. Progressive spokeswoman Leah Knapp said her company’s purchases of tax credits were in the best interests of Progressive policyholders. “Taxes are a part of the cost of doing business, and by reducing our cost of doing business, we can pass the savings on to customers,” Knapp said in an email. Critics of transferable credits say they undermine the value of the investment by allowing other people to get a slice of the subsidy. Despite the state’s investment, Oklahoma’s coal industry has continued to shrink. Production of Oklahoma coal fell from a high of 5.7 million tons in 1981 to just under 1 million tons last year. The number of workers employed by Oklahoma mining firms has declined to about 200, according to a study by Oklahoma State University economists. Mine operators and the Department of Mines say as many as 300 other people may be employed as contract truckers, welders, mechanics, electricians and other support workers. If the “multiplier effect” of indirect employment is included, the industry supports more than 1,000 full-time jobs and generates $38 million a year in Oklahoma income, the OSU study says. Coal producers agree with at least part of that assessment.